The ministry is working on a “National Logistics Policy” and another policy on the development of “Multi-modal Logistics Parks” to be announced soon. 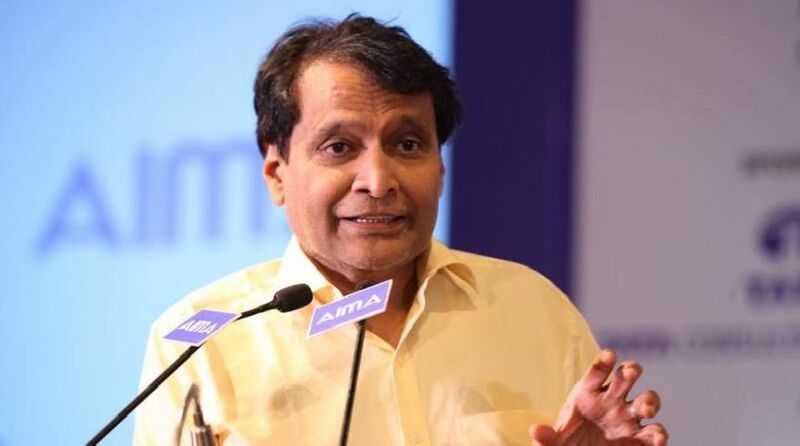 Commerce and Industry Minister Suresh Prabhu on Monday said investments in logistics and infrastructure will touch $500 billion by 2025 as the country becomes an attractive destination for manufacturing and services. “Expenditure on investment in logistics, including infrastructure, will touch $500 billion, by 2025… this will create millions of jobs and also do away with the hurdles hampering India’s internal and global trade,” Prabhu said at an event here. Prabhu said India, with initiatives like “Digital India, Make in India and Skill India”, is now being looked upon as one of the most appropriate destinations for manufacturing and service locations by many of the foreign companies. The minister further said the government has taken many measures to improve the trade performance through efficient and effective logistics including granting of infrastructure status to “warehousing, cold chains and multi-modal logistics parks”. “The measures include smoothening of the border and cross border documentation and activities, dedicated freight corridors, investments in port and other infrastructures, alignment of all business processes thus attempting to improve logistics performance of the country,” he was quoted as saying in an official statement. According to Prabhu, the ministry is working on a “National Logistics Policy” and another policy on the development of “Multi-modal Logistics Parks” to be announced soon. A logistics wing has been created in the Department of Commerce for integrated development of the sector. Prabhu was speaking at an event where the commerce department’s logistics wing and the Indian Institute of Foreign Trade (IIFT) singned an MoU for setting up a Centre for Trade Facilitation and Logistics Excellence (CTFL). The Centre has been given a mandate to bring together industry, academia, governments and organizations of national and international level, to work on key supply chain and logistics and management challenges facing firms in the globalised environment. Prabhu said the cost and speed of logistics at present is hindering the market share that Indian products deserve and CTFL will attempt to solve these issues. It will also train trade facilitation and logistics professionals and government officials concerned. The minister also released the logo of the logistics division. It is a graphic symbol representing a pair of swans known for their ability to travel long distances and are comfortable in the sky, water and on earth and represents teamwork between various partners in logistics.